I always adore making and eating fruit cake, so creating this recipe was a joy. 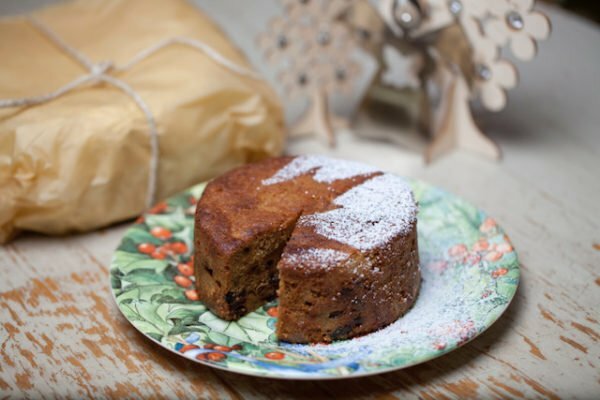 This cake has the texture of a classic Christmas cake – dense and complex in flavour, which is what you want for an exceptional and easy-to-digest Christmas cake. You do have the option to add a teaspoon of baking powder to make this cake lighter but it is not essential. This recipe is versatile so you can change the dried fruit mix (about 325–400g) to suit your taste. One combination I love is dried pear, hazelnut and ground cardamom. The method is quite simple, just like making any traditional butter cake. The white sourdough starter is added at the end of the mixing before the addition of fruits and nuts. The long fermentation allows pre-digestion of gluten, fat and sugar. You can use wheat instead of spelt or kamut/khorasan. Khorasan is worth a try, because for some people this unhybridised/ancient wheat is easier to digest than modern wheat. However, please consult your medical practitioner for advice. Magimix CE function which allows you to keep the blade stationary at a perfect fermenting temperature of 30C is perfect for this cake, especially if you make this cake in Nothern Hemisphere pre-Christmas time. Allow 4 hours to ferment this cake using the Expert Programme, Speed 0, at 30C. NOTE: This cake is full of fruit, so the cake mixture will not double in size. If you prefer a more complex flavoured cake, you need to make this cake 1–2 months before Christmas. 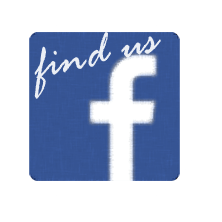 Use the best quality organic dried fruit you can buy! 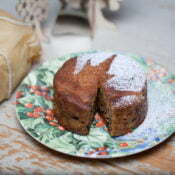 This is a dense fruitcake which has a more complex flavour than traditional fruitcake because it is naturally fermented with sourdough culture. It is naturally easier to digest than a traditional fruit cake. This cake relies on the sweetness of the dried fruit rather than refined sugar. Prepare the fruit and liqueur mixture at least a day before you plan to make the Christmas cake. You can also prepare the mixture a few weeks beforehand for a stronger flavour. Mix the ingredients together and leave to marinate at least overnight. The next day, drain the mixture, separating it into fruit and liquid. The fruit will be added to the cake, while the liquid will be used to glaze it once baked. Put the flour and spice mixture ingredients in your metal bowl, run the EXPERT programme and mix for 20 seconds/speed 7. Put aside. Beat soft butter, the two sugars and vanilla in the metal bowl with the whisk attachment, run the PASTRY/CAKE programme for 2 minutes/speed 7 until light and creamy. Scrape down sides frequently to make sure the ingredients are well mixed. With the programme running, slowly add eggs one by one through hole in lid. Allow 30 seconds between the addition of each egg. Stop mixing once the mixture looks curdled. Scrape sides of bowl. Add sourdough starter and molasses and continue whisking. Scrape sides of bowl. Add pre-mixed flour and spice mixture and continue whisking until the programme ends. Do not over-mix or you will end up with a tough cake. Scrape sides of bowl, if necessary. Remove the whisk. Ferment your cake mixture for 4–6 hours with the lid on, if you are making this cake in warmer weather such Australian pre-Christmas weather. Alternatively, if the room temperature is cold (ie. Northern Hemisphere Christmas), run the Expert programme 30C/speed 0/4hours . The cake mixture will rise about 1¼–1½ its original volume. Line cake tins with butter then line with silicone coated baking or parchment paper (e.g. Gladbake). You have the option of using: •	20cm diameter (8in) round cake tin – each holds 1kg of mixture, or •	2 x 12.5cm (5in) round cake tin – each holds 500–550g of mixture, or •	8–10 muffins – each holds 120–150g of mixture. Add drained fruit to the cake mixture and run the Expert programme for 20 seconds/speed 5, until the fruit is well distributed. Pour into lined tin or tins. You should only fill two-thirds of the tin or the cake mixture will overflow during baking. Put the cake inside a cold oven and set the temperature to 165°C (329°F). Here are the baking times depending on the size of cake tin you used: For 20cm (8in) tins Bake on lower third rack for 45 minutes at initial temperature of 165°C (329°F). Then reduce heat to 150°C (302°F) and bake for a further 1 ½–2 hours until golden brown. If the cake top browns too quickly, cover it with aluminium foil. For 12.5cm (5in) tins Bake on lower third rack for 1 hour 15 minutes at initial temperature of 165°C (329°F). For muffins Bake on lower third rack for 40–45 minutes at initial temperature of 165°C (329°F). Remove cake from the oven and brush generously with the leftover liqueur. You can brush your cake with any liqueur of your choice (brandy, rum, whisky, Cointreau) every few days for a month before Christmas. This will make your cake so delicious and moist. Leave to cool before cutting. Best kept wrapped tightly in waxed paper and aluminium foil. Leave in the coolest part of your house and it will keep for 1–2 months or alternatively it can be frozen for up to 3 months. Put the flour and spice mixture ingredients in a large bowl and whisk until the flour mixture is well distributed. Put aside. Beat/Whisk soft butter, the two sugars and vanilla in a bowl until light and creamy. This will take a few minutes by hand. Scrape down sides frequently to make sure the ingredients are well mixed. Slowly add eggs one by one and stop mixing once the mixture looks curdled. Scrape sides of bowl. Add sourdough starter and molasses and mix well but gently. Scrape sides of bowl. Gently mix in the pre-mixed flour and spice mixture. Do not over-mix or you will end up with a tough cake. Scrape sides of bowl. Cover and ferment your cake mixture for 4–6 hours. The cake mixture will rise about 1¼–1½ its original volume. Add drained fruit to fermented cake mixture, making sure the fruit is well distributed. If you have decided to use baking powder to make the cake lighter, add the baking powder now. I prefer the cake without the baking powder as I like my fruitcake dense. Pour into lined tin or tins. You should only fill two-thirds of the tin or the cake mixture will overflow during baking. always adore making and eating fruit cake, so creating this recipe was a joy. This cake has the texture of a classic Christmas cake – dense and complex in flavour, which is what you want for an exceptional and easy-to-digest Christmas cake. You do have the option to add a teaspoon of baking powder to make this cake lighter but it is not essential. This recipe is versatile so you can change the dried fruit mix (about 325–400g) to suit your taste. One combination I love is dried pear, hazelnut and ground cardamom. a dense fruitcake has a more complex flavour than traditional fruitcake because it is naturally fermented with sourdough culture. it is naturally easier to digest than a traditional fruit cake. it also relies on the sweetness of the dried fruit rather than refined sugar. Put the flour and spice mixture ingredients in your TM bowl and mix for 10 seconds/speed 5. Put aside. Beat soft butter, the two sugars and vanilla in TM bowl for 1½–2 minutes/speed 3–4 until light and creamy. Scrape down sides frequently to make sure the ingredients are well mixed. With the machine running at speed 3, slowly add eggs one by one through hole in mixing bowl lid. Stop mixing once the mixture looks curdled. Scrape sides of bowl. Add sourdough starter and molasses and mix for 10–15 seconds/speed 2. Scrape sides of bowl. Add pre-mixed flour and spice mixture to TM bowl and mix for 10–15 seconds/speed 2–3. Do not over-mix or you will end up with a tough cake. Scrape sides of bowl. With the TM bowl lid and MC back in place, ferment your cake mixture for 4–6 hours. The cake mixture will rise about 1¼–1½ its original volume. Add drained fruit to the TM bowl and mix for 10–20 seconds/speed 3/Reverse, making sure the fruit is well distributed. If you have decided to use baking powder to make the cake lighter, add the baking powder now. I prefer the cake without the baking powder as I like my fruitcake dense. Pour into lined tin or tins. You should only fill two-thirds of the tin or the cake mixture will overflow during baking.